This Leave No Trace-inspired product was created to make it easier for you to "pack it out" after camping in ecologically sensitive areas. 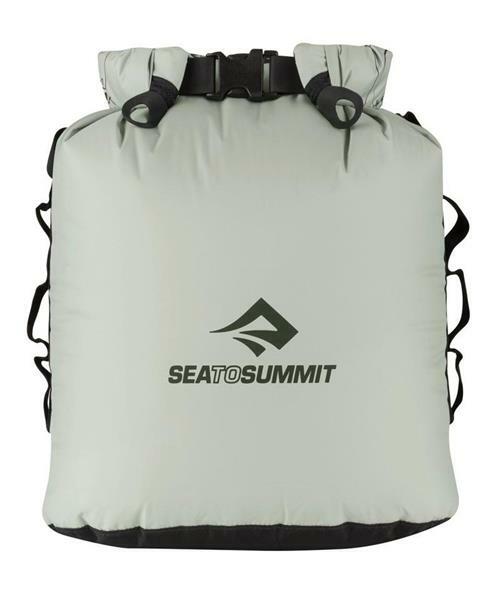 Designed with a unique roll top closure that accepts a disposable garbage bag liner, the Trash Dry Sack is used as a soft garbage container in the field, in a boat or in your car. In the backcountry, put all your waste inside and roll the top down to prevent any leakage while transporting. Hypalon® clip-in loops allow it to be hung from a tree to keep critters out. It also has daisy chain webbing on the sides so that it can be securely lashed to the outside of your pack or to the deck of your kayak. Its oval shape means better carrying when the sack is full. * Oval base gives flatter shape for better carrying when attached to packs, kayaks, etc.